13-year-old Jaelen Edge and his sister, 9-year-old Faith Edge, were found dead in a Santa Ana, California, hotel room the day before their mother, Marilyn Edge, was to turn over custody of the two children to their father, Mark Edge. Around a week earlier, a judge had settled the couple’s long custody dispute. Rather than relinquish custody of her children as ordered by the court, Marilyn fled from the family’s home in Georgia for California, where she had lived previously. There she poisoned both children and left them dead. Police arrested Marilyn in a parking lot not far away, where they believe she was attempting to kill herself by wrecking the car. 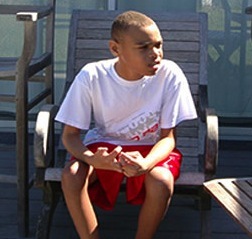 Back in Georgia before this tragedy, Marilyn Edge Marilyn had been homeschooling Jaelen, who was autistic, while Faith attended public school.